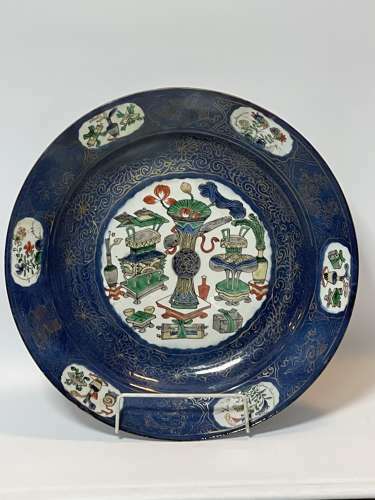 A powder blue large export charger, 18th century. With European gilding. Origin China.